The new Corvinus University and Studium Office building in Közraktár street won the 2008 Award of Merit of the National Federation of Construction Contractors and the Construction Association in the public building category. 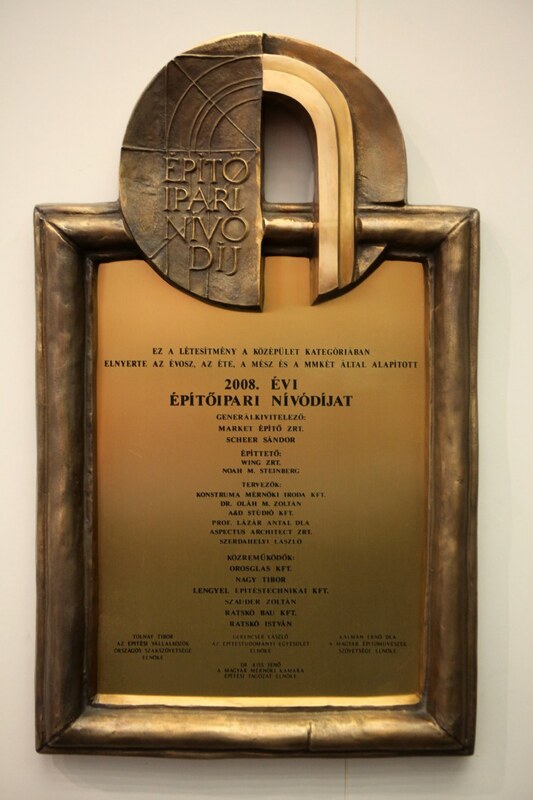 The award ceremony of inauguration of advertising bronzkeretes brass 2009th took place on April 17. The Inauguration speech was given by Laszlo Somogyi, retired Minister of Construction, the Evaluation Committee and Chairman of Noah M. Steinberg, President and CEO of WING Zrt.
? Konstruma Engineering Office Ltd.
? A & D Studio Ltd.